Hip replacements eventually wear out. 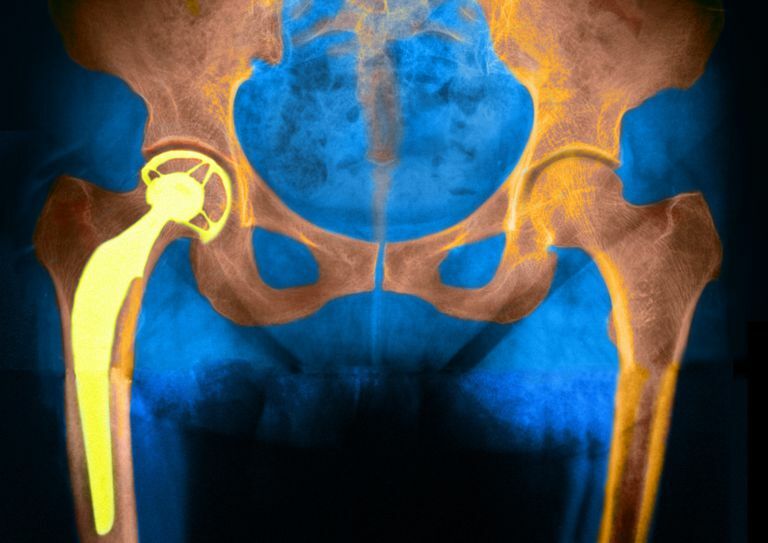 Unfortunately, an artificial hip is not as durable as your own hip. Because the hip replacement implants are made of metal and plastic, these materials begin to wear over time, just like the rubber on your car tires. Even hip replacements made with special materials designed to last a long time do not last forever. The good news is that studies show that common types of hip replacements can last more than 20 years. While there are hundreds of studies, they all vary in the type of implant used and the type of patient who had their hip replaced. One very large study found that 80% of hip replacements were functioning well after 15 years in the younger (less than 65) patients, and 94% of the older (over 65) patients. You should remember that while some patients may have hip replacements that last several decades, other patients may require a repeat hip replacement just a handful of years after their surgery. Revision hip replacement (a second hip replacement) is a major undertaking that often has less successful results than an initial hip replacement. On a bright note, a report found that only about 2% of hip replacement surgeries required a second surgery within five years of the initial hip replacement. Many studies have been done to determine how long a hip replacement will last. With hundreds of different types of hip replacements and countless different types of patients, there is no rule to how long a hip replacement will last in a particular individual. Implant manufacturers are constantly striving to create a "better" implant that will last longer. Some of these implants have only been used for a handful of years, and determining whether or not they will last longer is a question only time can answer. Age of the Patient: Younger patients require a hip replacement to last much longer. On top of that, younger patients tend to be more active. Therefore, patients who have a hip replacement in their fifties or younger can usually expect to require a revision hip replacement in their lifetime. Patient Activities: Some activities may not be appropriate for patients with a hip replacement. While these activities may not be painful or difficult, they may place excessive stress on the hip replacement, causing the parts to wear out more quickly. Patient Weight: The more an individual weighs the more stress that is placed on the joint replacement implant. Maintaining a normal body weight is critically important when trying to make a joint replacement last. Appropriate exercises can be helpful in maintaining a healthy hip replacement. Avoiding Complications: This may sound obvious, but there are some specific medical conditions that can lead to complications affecting the joint replacement. Patients having invasive medical procedures (including dental work) may require antibiotic treatment to prevent bacteria from getting into the joint replacement. Patients with osteoporosis should ensure that they are being adequately treated, as a fracture in the bone around a joint replacement can affect the functioning of the implant. One temptation of patients and surgeons alike is to be attracted to the newest hip replacement on the market. Undoubtedly, this implant will claim to function better and last longer than other hip replacements. While these newer implants may be better, it is also important to understand that being new means there is no long-term data on how well these implants will function over time. While new technology can be promising, you don't want to be a guinea pig for something unproven. Your surgeon can help guide you to an appropriate hip replacement that is best for you. Mäkelä KT, et al. "Total hip arthroplasty for primary osteoarthritis in patients fifty-five years of age or older." J Bone Joint Surg Am. 2008 Oct;90(10):2160-70. Mahomed NN, et al "Rates and outcomes of primary and revision total hip replacement in the United States medicare population." J Bone Joint Surg Am. 2003 Jan;85-A(1):27-32.